Want something a little more or planning a surprise for the small (or big) train enthusiast in your life. Perfect for children’s parties of up to 20 children or around 15 adults, book the railway exclusively for two hours. The Fancott Pub is located on site and has a restaurant and bar service which you will need to book separately. 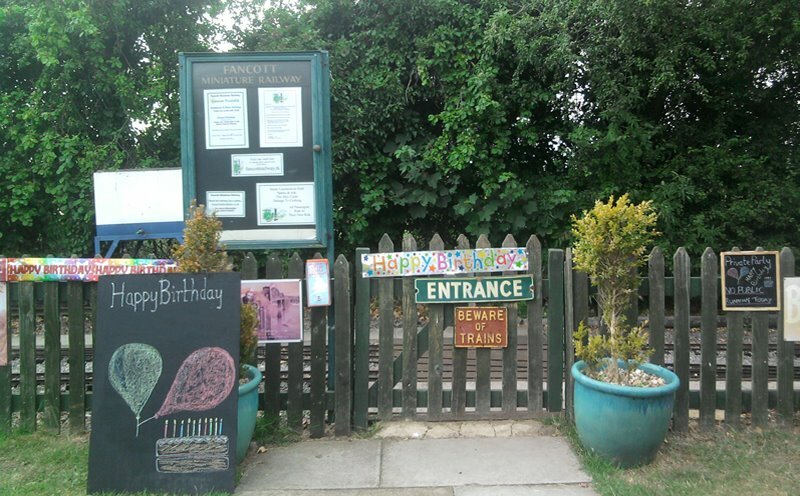 To book a birthday or party at the The Fancott Miniature Railway please contact us. A- You will need to arrange this with The Fancott Pub separately. A- 2 hours of private usage of the railway for as many trips as you like. A- See our prices page for the latest prices.